Jharonka is a line of apparel that creates authentic handlooms and weaves, perfect for the contemporary Indian woman. 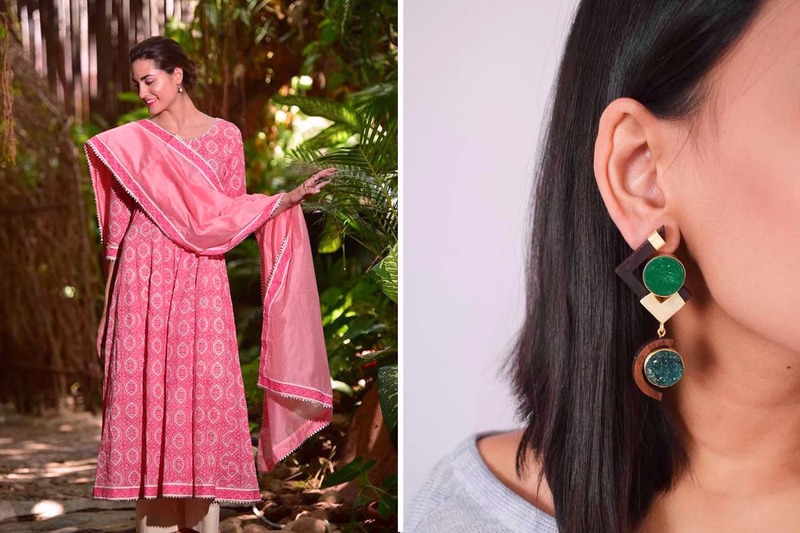 The idea is to keep the real Indian handloom alive in this era of fast fashion. They, with confidence, assert that if you’ve bought a piece from them, it's not only for the authenticity but because you have fallen in love with them. Think of any saree speciality from across the country, and Jharonka has it for you. Handlooms that range from Pochampally Ikkat to Begumpur, Bhaghalpur and Kota; or be it silk, khadi, linen, they have a saree from everywhere in all its purity. Their sarees start at INR 1,999 and go up to INR 63,000. If six yards is not your scene, they have stoles and dupattas with options like the Baluchari weave in pure silk (INR 3,400), or contrast designs in Tussar silk (INR 5,360). The higher range of dupattas have katan silk which are priced at INR 9,000. For the modern woman, they also have a range of kurtis, dresses, tops and jackets. They have solid coloured jumpsuits for INR 1,999, hand blocked cotton dresses for INR 2,270, and woven cotton kurta dress for INR 2,799. Just so you don’t miss out on anything, they also do handcrafted jewellery which includes earring, necklaces and rings to give that final touch to your outfit. Be it your wedding trousseau or any other occasion, wear a piece of Jharonka to make a statement while feeling like you’re carrying on the century-old tradition.